This year Her Majesty Queen Elizabeth II becomes the first ever British monarch to celebrate her 90th birthday. This significant moment in history will certainly be one to remember. So I’ve compiled a list of my six favourite commemoratives for you to peruse. In my opinion any Royal collector would be lucky to have these in their collection, especially the 10 ounce gold coin! This golden-coloured coin features a one-year only specially commissioned 90th birthday portrait, designed by Luigi Badia. 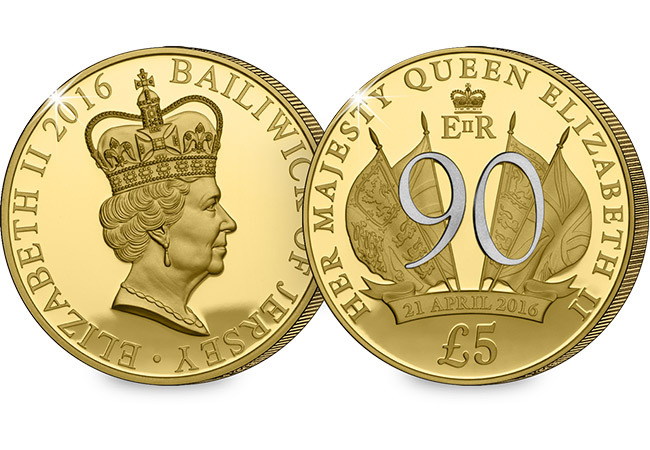 The coin proudly displays the royal cypher atop a large “90”. The central design is flanked by the Royal Standard and Union Flags on either side. Featuring an oak wreath and crown to symbolise long life and the House of Windsor, this Silver £5 coin also features the limited edition one-year-only portrait. At the center is EIIR, encircled by the words Her Majesty Queen Elizabeth II and the years 1926-2016. Issued by the Perth Mint, this stunning silver coin has been struck with an incredible high relief finish. To achieve this, each coin must be repeatedly struck on specially prepared presses. The reverse depicts St. Edwards crown surrounded by wattle branches – just 5,000 have been released worldwide. 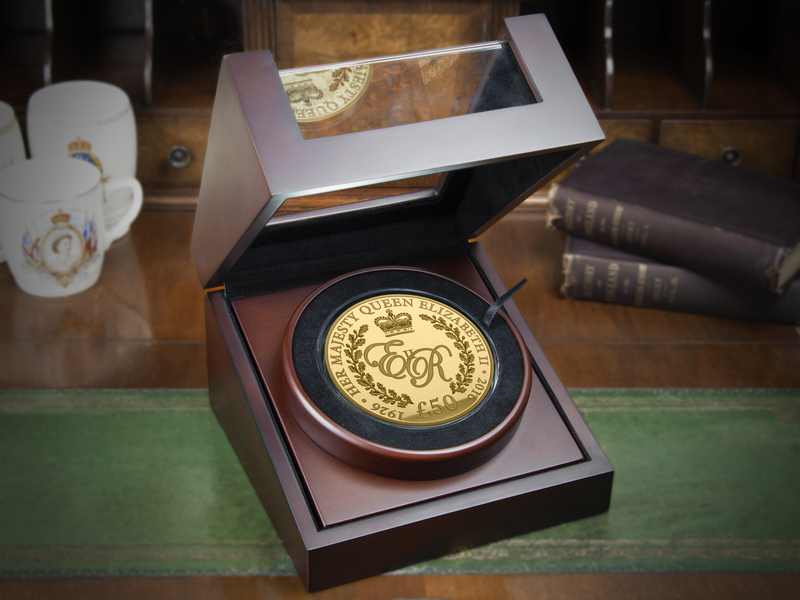 Due to the significance of this Royal event, a remarkable 10 ounce gold coin has been issued. That’s the same weight as 33 pound coins! Featuring the special one-year-only portrait, this 90th Birthday Coin was incredibly popular – in fact, it sold out its entire edition limit in a matter of hours. This limited edition Silver Coin Cover features the six UK stamps which have been issued by Royal Mail to mark the Queen’s 90th Birthday. All six evocative photographs feature on our stamps for the first time ever – including a rare picture of the young Princess with King George VI. The new 2016 Silver Britannia coin is also encapsulated within the cover along with an official postmark by Royal Mail to mark the Queen’s birthday date – 21st April. This is the first coin to be issued from The Queen’s 90th Birthday Coin Collection – a new series of photographic coins being issued over the coming months in celebration of the occasion. The coin has been expertly plated in 24 carat gold and features a full-colour birthday portrait – taken by renowned royal photographer Lord Snowdon for her 80th birthday. This is a record-breaking moment in British history which will be remembered forever. And the coins and stamps which have been issued to mark the occasion really capture the moment. Which of the six is your favourite commemorative? Let me know in the comments below. Hi there, sounds interesting! It might be worth posting a picture to the Change Checker facebook page – someone might be able to help you out there… http://www.facebook.com/changechecker Thanks, Robin. 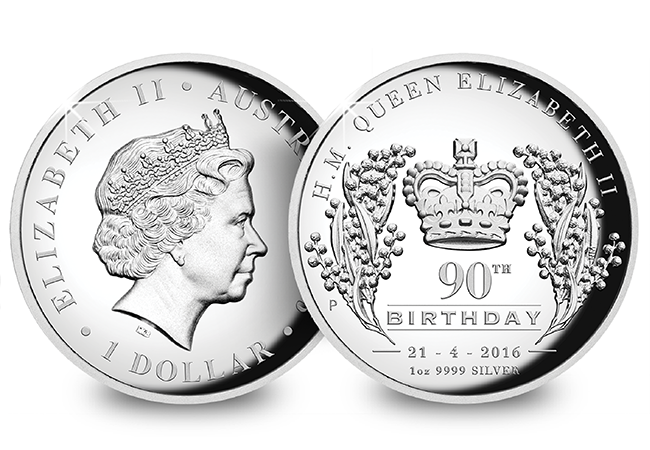 Queen Elizabeth II 90th birthday photographic coin is my preference. Queen Elizabeth 90th birthday coin. Please click on the title links for the products we have available. You can find all the information you are looking for there. How much for all 6. Unfortunately we no longer have stock of the 10oz, but you can still add a selection of the others to your collection. I like coins/stamp cards that are both aesthetically pleasing and a lifelike representation of the subject-so,I am hoping for the chance to obtain numbers 5 and 6 on this list-will this be possible/at what cost? Yes, these are both available to purchase – please click on the title links for more details!